Sports injuries prevention is paramount in keeping young players off the sideline and on the playing field. Participation in youth sports provides so many positive benefits for kids. Injuries aren't one of them. And though physical activity is an important part of a healthy lifestyle, it brings with it an increased risk of getting hurt. Injuries like mild strains, sprains, and contusions make up the majority of sports injuries with few severe enough for a hospital stay. The good news is that many injuries can be prevented. Here are a dozen precautions you can take to minimize youth sports injuries. Most sports recommend or even require playing gear designed to protect parts of the body. Helmets, sports glasses, face and mouth guards, chest protectors, ankle braces, knee pads, shock-absorbing shoes are all examples of equipment found to be effective reducing the incidence of injury in athletes. Make sure the equipment fits properly, is in good condition, and is used consistently. Sports training and competition take a toll on the body, and the body needs time to rest and heal. Year-round competition has become popular in many youth sports these days. One of the dangers of playing the same sport year-round is the risk of overuse injuries. When athletes perform the same repetitive motions over and over again without a break, injuries occur gradually over time. The body needs time to heal between seasons. One of the best sports injury prevention practices is to take part in sport-specific strengthening and endurance programs outside of organized practice. Every sport requires movements that are specific to it. These movements place unique stresses on bones, muscles, joints, tendons, and ligaments. It's important to perform exercises that focus on and mimic the movements the body makes during competition. 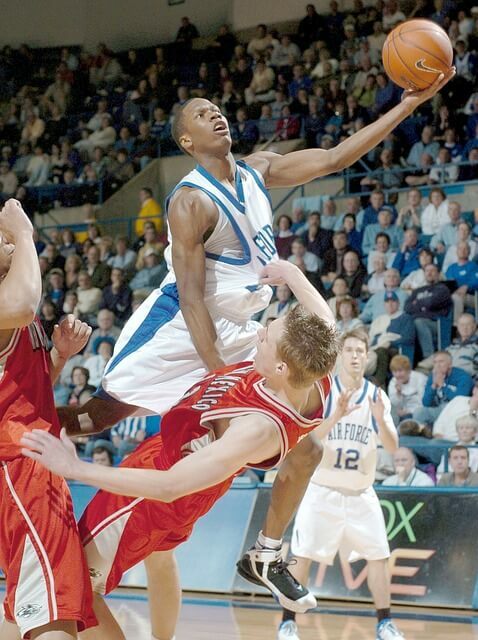 For example, in basketball, there are lots of starts and stops, changes of direction, and vertical jumping. The movements are explosive and quick. If the muscles and ligaments of the ankles and knees are not sufficiently strong and trained for such movements, sprained ankles or torn knee ligaments can result. Avoiding injury is not a 100% guarantee, but athletes who properly condition their body with their sport in mind spend a lot less time in the training room. All sports have rules put in place to protect players from dangerous situations. For example, spearing in football, tackling from behind in soccer, and jumping over someone's back in basketball are violations because of the danger they impose. 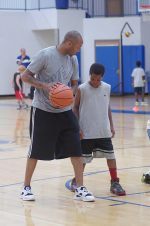 Likewise, it's important that players are taught the fundamentals skills of their sport. They need to learn how to move their body safely. When players violate rules and play recklessly they put themselves and others at risk. Ignorance is a good way to get hurt. Do you know how to use the training equipment? What's the proper way to lift a barbell? How do I release a shot put? How do I use a heavy training basketball? How do I jump over a hurdle? Don't just guess or take your chances. Learn how to use the equipment. It's tempting to skip past the warm-up and jump right into the training session. Not a good idea. Warm-up exercises are intended to prepare the body for exercise. To help it transition from a static, resting state to a state of dynamic, intense athletic activity. A warm-up routine includes light cardiovascular, strengthening, and stretching exercises that gradually increase the heart rate, increase blood flow, loosen the joints, and warm the muscles. Once the muscles are sufficiently warmed up, after 10-20 minutes or so, they're ready for more explosive movements. Most kids don't like to drink water. They'd rather consume sports drinks, juices, and sodas. But water is what they really need. Every function your body performs depends on water. From digestion, to maintaining body temperature, to circulation and so much more, the body requires water to get the job done. When it comes to physical activity, we need plenty of water before, during and after exercise. Muscles that are dehydrated get their fluid-electrolyte balance out of whack, and they fatigue more quickly. Look for ways to encourage your kids to drink more. There are lots of flavored drops and powders to choose from, but when it comes to adding taste try to avoid sugar. Also, fruits and veggies are a great way to increase water intake because of their high water content. I'm a big proponent of waiting to specialize in one sport until a child has a chance to experience and participate in a variety of activities. I have several reasons for proposing this, but one of them has to do with sports injury prevention. If you wanted to start a weight lifting program, no trainer would tell you to focus your exercise regimen on a single muscle group. That's because over training one area causes weakness in opposing muscle groups and results in body imbalance. Likewise, when a young athlete focuses exclusively on one sport, there's an inherent danger of overusing muscle groups specific to that sport and neglecting others. Also, young children are developing motor patterns they'll carry with them throughout life. It's beneficial for them to learn and experience a wide range of motor movements. Remember the old saying, "You are what you eat?" There's a lot of truth to that. The body requires fuel to function. And just like putting poor quality gas in a car negatively affects the car's performance over the long haul, poor nutrition harms the human body as well. The body needs proteins, carbohydrates, fats, vitamins, minerals, and water to perform well. The right nutrients strengthen bones and muscles, boost energy, speed up recovery after workouts, and improve sleep. Nutrient deficiencies cause fatigue, weight gain and serious chronic conditions like cancer, diabetes, and heart disease. And don't forget, bodies that burn more fuel need to take in more fuel. Physical activity burns more calories than being sedentary, so athletes need to consume more healthy food than their inactive peers. A preseason physical exam is a requirement for participating in many youth sports leagues, depending on the player's age, type of sport, and level of competition. 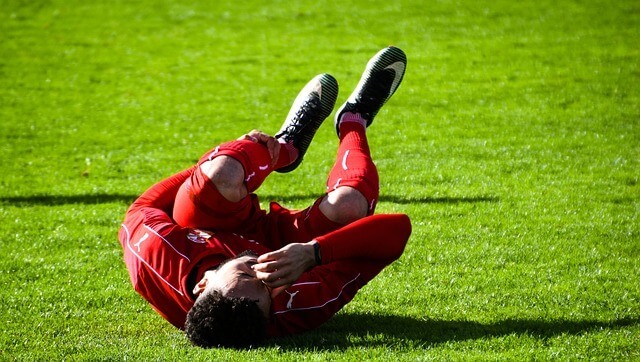 By getting the history and examining the musculoskeletal and cardiovascular systems of athletes, doctors can discover and address preexisting conditions that might predispose an athlete to injury. Once these conditions are known, precautions, medication, and/or protective equipment can be recommended. When the body exercises and is stressed physically, it needs to rest. Muscles that are stressed during weightlifting, running, and jumping activities, for example, need time to recover. Strength building occurs when muscles are stressed to the point of breaking down muscle fibers. When the fibers are rebuilt, strength increases. This process requires time for the repair to take place. Likewise, when there is repetitive stress on the skeletal system the body needs rest time for the bone tissue to strengthen. Exercise also stresses the body at a biochemical level. Practicing repeatedly without proper rest can wear down the immune system leading to illness. Finally, young athletes' bodies are still developing and are especially susceptible to injury from over training. None of us like pain. It hurts. But I have come to understand that pain is a gift. It's our body's way of telling us that something is wrong. Without it, we would continue on with whatever destructive activities are causing us harm. The human body has an amazing ability to heal itself. And the process starts with us listening to what our body is trying to say. It's easy to shrug off pain and discomfort because you want to keep playing. These are all cries from your body to stop and get help. Listen!